This is an extra photo to make up for missing a day earlier in the week. Wendy and I often struggle to be in when deliveries arrive, and also to get to the Post Office to pick things up during working hours. 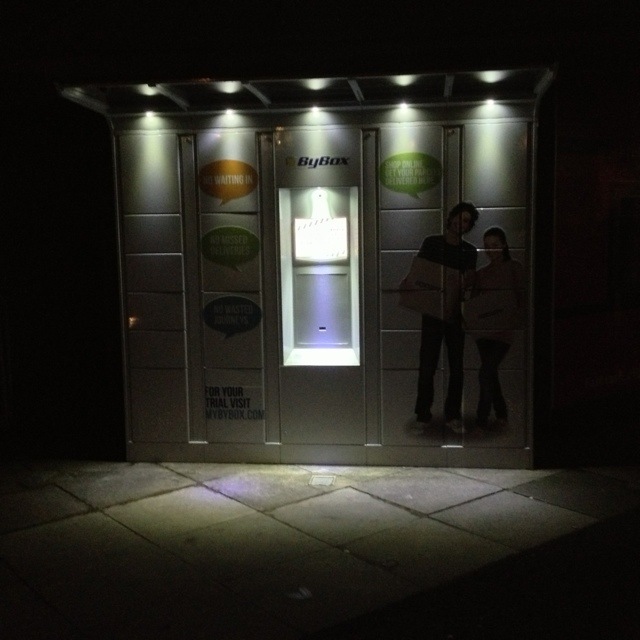 So we’ve started using ByBox, and having parcels delivered to a nearby locker. It is fantastically convenient. Tonight, we swung by to pick up a parcel delivered yesterday morning. It’s hard to think of any other delivery system that would allow us to collect parcels at 7pm on a Sunday! ByBox tell me that they will soon enable posting of boxes from the lockers too, which will be brilliant! This 1,904th post was filed under: Photo-a-day 2012, Retail.